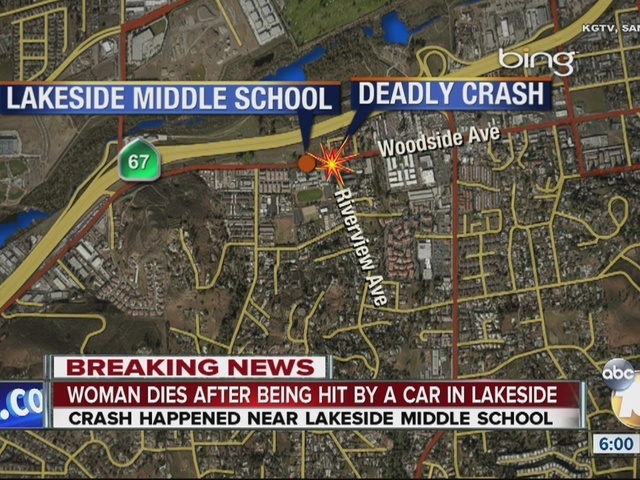 LAKESIDE -- A suspected drugged driver is behind bars after allegedly running down a woman walking near Lakeside, killing her. Joel Joseph Silva, 33 of Julian, fell asleep at the wheel of his 2015 Toyota Rav4, which drifted onto the shoulder of westbound Woodside Avenue near Riverview Avenue and struck the pedestrian, a metal pole, a light standard and a gate shortly before 5 p.m. Sunday, according to California Highway Patrol and the county Medical Examiner's Office. The victim was face down on the sidewalk and was pronounced dead at the scene, authorities said. She was later identified by her family as 34-year-old Kimberly Eakin. CHP Officer Kevin Pearlstein said "several'' medication bottles were found inside the SUV following the crash. Silva was arrested on suspicion of felony DUI and vehicular manslaughter while under the influence and has since been booked into San Diego Central Jail, according to Pearlstein and jail records.